MELVINDALE, Michigan, October 16, 2017—This month, Evans employees traveled down to Columbus, Ohio, to attend the Girl Scouts’ G.I.R.L. trade show, an event designed to inspire, educate and promote the empowerment of young women. Thousands traveled to the event to experience educational booths, listen to speakers, participate in interactional experiences, and enjoy the entertainment. Evans has partnered with Girl Scouts to provide an improved cookie ordering structure. As cookie sales grew, so did the demand for an integrated fulfillment system, which Evans started in 2014 with the implementation of Digital Cookie. The Digital Cookie platform allows for the electronic transmission of orders from the website to Evans’ system, to the customer with shipping information. In addition, Digital Cookie provides timely, accurate weekly reporting to Councils, real-time inventory visibility, same-day and high-volume order processing, and the management of funds. The Digital Cookie partnership between Evans and Girl Scouts provides certain advantages: reduced processing time, discounted shipping and packaging rates, inventory receipt validation and management, and ultimately, lowered stress for staff and volunteers. But the implementation of the Digital Cookie system doesn’t stop at fulfillment—at Evans, we keep in line with the Girl Scouts’ mission of educating and inspiring young girls to become the leaders of tomorrow. 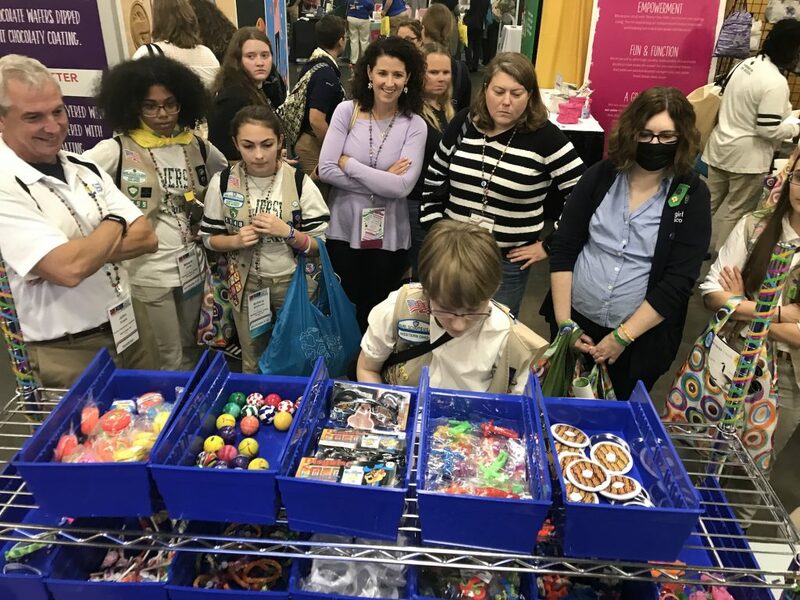 At G.I.R.L., we set up an educational, interactive booth centered around fulfillment—a pick and pack station filled with stickers, toys and prizes in bins. Girls used a mock pick sheet to pick out the required items and place them in a package, as quickly as possible. The fastest picker won a prize at the end of the weekend. Girls enjoyed learning about fulfillment, and how items make their way from the warehouse to the front door. Evans Distribution Systems, headquartered in southeast Michigan, was founded in 1929 as the Central Detroit Warehouse Company. It has evolved into a full-service, third-party logistics provider offering warehousing, transportation, value added, fulfillment, and staffing to the manufacturing, food and beverage, consumer goods, and chemical industries. Evans currently employees more than 700 associates and operates over two million square feet of space in Michigan and across the U.S. Find more information on our website, www.evansdist.com. Read the latest supply chain insights at Evans’ blog, or follow the company on Facebook and Twitter.